15 tunes that reflect the breadth and diversity of jazz, from the great African-American tradition to the vibrant and multicultural sounds of jazz today, with arrangements that are carefully researched and designed to accommodate teacher and pupil alike. An approach that encourages playing by ear. Includes ‘Minus-one’ rhythm-section tracks and full performances recorded by top jazz musicians. Written-out piano score and sections for improvised solos, with notated guideline pitches to get you started: the CD includes full performances & backing tracks. Background information including suggestions for further listening. 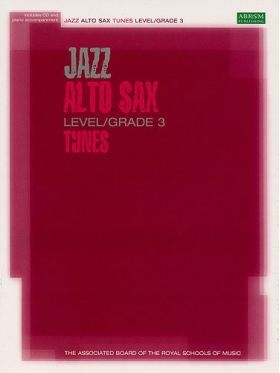 Set for current ABRSM Jazz Alto (Eb) Saxophone Grade 3 examination.